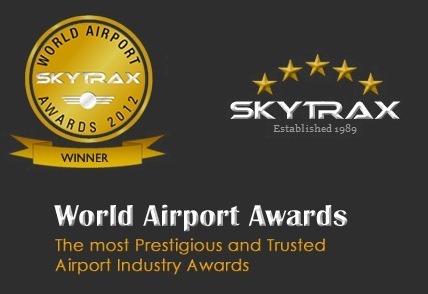 Skytrax, who offer the most prestigious & trusted awards for the Airline industry worldwide have announced “Best Airports in the World” Rankings for 2012. Incheon International Airport in Korea gets the coveted position of having the best airport in the world. It is followed by Singapore Changi Airport, Hong Kong International Airport, Amsterdam Schiphol Airport & Beijing Capital International Airport. India’s Indira Gandhi International Airport gets the award for being the “Most Improved Airport in the World” thanks to the launch of modern T3 (Terminal 3) last year. Even with this improvement it ranked a lowly 62nd in the world. In 2011, Delhi International Airport was ranked 95th best in the world. While Delhi’s IGI has improved, Bangalore International Airport has deteriorated and gone down in its ranking. It fell 8 places from 59th last year to being the 67th best airport in the world this year. Hyderabad International Airport also witnessed huge improvement to rank 77th best in the world. Last year it was ranked 92nd . It is interesting that smaller places like Amritsar and Goa have better airports than bigger cities like Ahmedabad, Pune & others. I also recently happen to visit the new Mangalore Airport, I thought it was one of the better ones and should have ranked above Amritsar and Kolkata. Chennai airport doesn’t deserve even 5th. Isn’t that the one with a tricky tabletop runway?